Greetings, dear readers, and happy hump day! I hope you've been having a wonderful week and have something fun planned for the weekend! It has been a busy one for me with so many insignificant tasks that at the end of the day, it seems as though I have nothing to show for it. At least my to-do list is filled with lots of red lines as I've crossed things off! Now on to today's post! I wanted to share my product empties for this past month with you. Let's check it out! I LOVE the cuticle and hand crellies from Ever After, and I'm a little surprised it's taken me this long to empty any to put in my monthly empties posts. Actually, no, it's not that surprising: I have a large selection of scents that I constantly rotate though so I don't have to say farewell to some amazing scents! If you've not yet tried the Ever After crellies yet, I strongly encourage you checking them out! I've always found them to be very hydrating and Ever After offers a great selection of scents that vary throughout the year. The downside is not all scents come back, but in my personal experience, there are so many good ones that you just find a new scent to love! I finished up my Cuticle Crelly in the scent Twigs and Berries and my Hand Crelly is English Bath House from the February Pandora's Box. I loved this cuticle oil, and the Cappuccino Cookie Crunch scent was scrumptious! This was a mini bottle that I received a while ago, and I don't recall exactly if it was part of a gift with purchase or in a VIP bag from a previous indie shopping event. It's sadly not a scent offered in the Girly Bits, but there are so many other great scents in the shop to choose from! As for the cuticle oil, I found it nicely hydrating and it kept my cuticles and nails in good shape after several large swatch sessions last month! Apparently last month I was all about cuticle creams! This was a sample jar I received at an Indie Shop event, and I finally got around to trying it out. This cuticle whip is so creamy and moisturizing! This did not have a label on it regarding the scent, but I believe is was some sort of coffee scent. I really liked this product and picked up a full-sized version already! I love these cotton pads for nail polish removal! I One side has a quilted pattern while the other is smooth and perfect for easy polish removal with no cottony residue left of my nails. This was part of a large package I bought at Costco, and there were no longer stocked at my Costco as of this past weekend. The horror! I really hope these come back soon as I need more cotton rounds and I prefer these so much more than others I have tried! I have actually emptied another package of these this month so you'll see this from this month's empties post! Most of the time I just use acetone and add my own additive to make it more gentle for swatching, but if I'm using an unaltered store bought product, I'm going to be using Remove Plus! The formula is gentle but still highly effective, and I love the flipper style container! All you need is one flipper container, and once it is empty, top it off from the larger refill bottle! This was a sample sized product that came from Sephora, and due to it's size, I only used this for about a week and cannot really attest to its effectiveness. I can say I didn't have any issues with it when it come to my skin sensitivities though, and I am looking forward to trying more from this Bay area based brand! 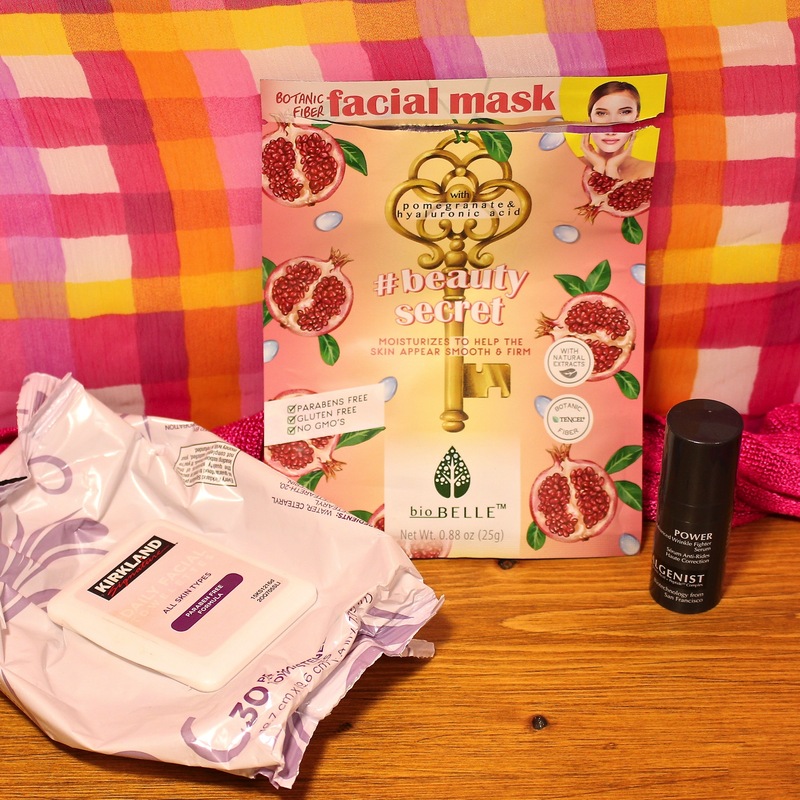 I've used a variety of facial masks from Biobelle, and I think #BeautySecret is my personal favorite. This mask keeps my face looking bright and adds a great moisture boost! I have their new #Primer mask on my must-try list once I work my way through some of my primers I already have on hand. I've been slowly working my way through these since I bought a box at Costco on a whim. Now that I am close to being done with all these wipes, I can say I'm not really a fan and will not be repurchasing once they are all gone. They work well enough to remove makeup, but I cannot recommend them for daily use. The formula feels a little drying, especially with continued use, and they make the skin on my face hurt if I use these too frequently. I'll be honest and admit that hair care products like shampoo and conditioner rarely catch my attention (but I LOVE styling products! 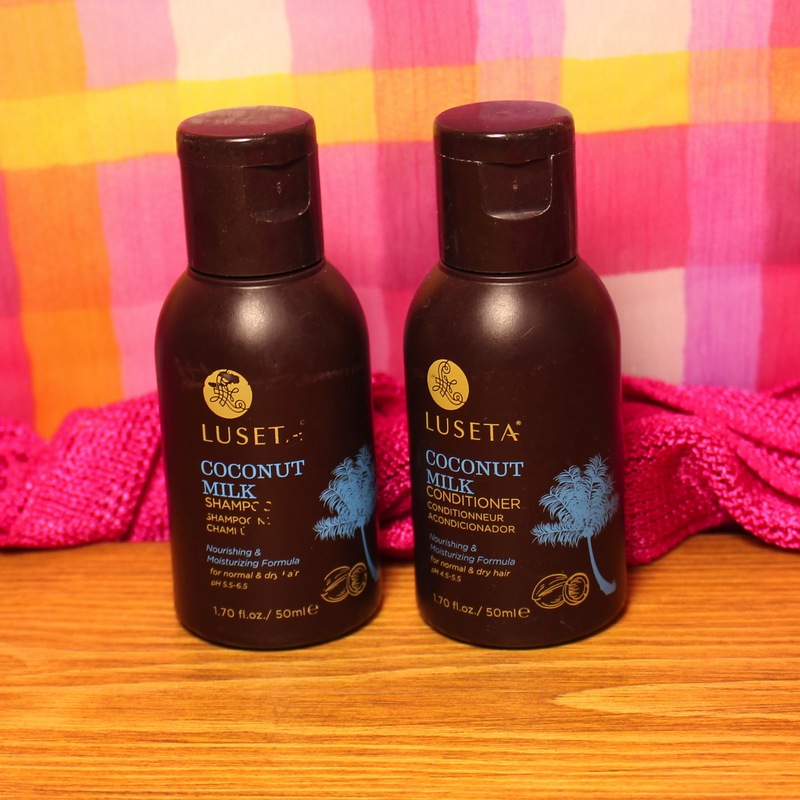 ), but I couldn't resist picking up these small bottles by Luseta Beauty to try out! Coconut is one of my favorite scents, and I adore the smell of these products. Unfortunately, I didn't get enough uses from these bottles to give a thorough assessment of these, especially since the hubby apparently decided to use them as well! What little I did get to use these, I found my hair clean and incredibly soft after use. My hair is more normal/oily rather than normal/dry, the hair type this set is most geared towards, so while I'm interested in these, I'll likely pick up a different formulation from Luseta Beauty. This concludes my monthly empties post for last month! Some products I loved, some I disliked, and some I want to spend more time testing in the future. 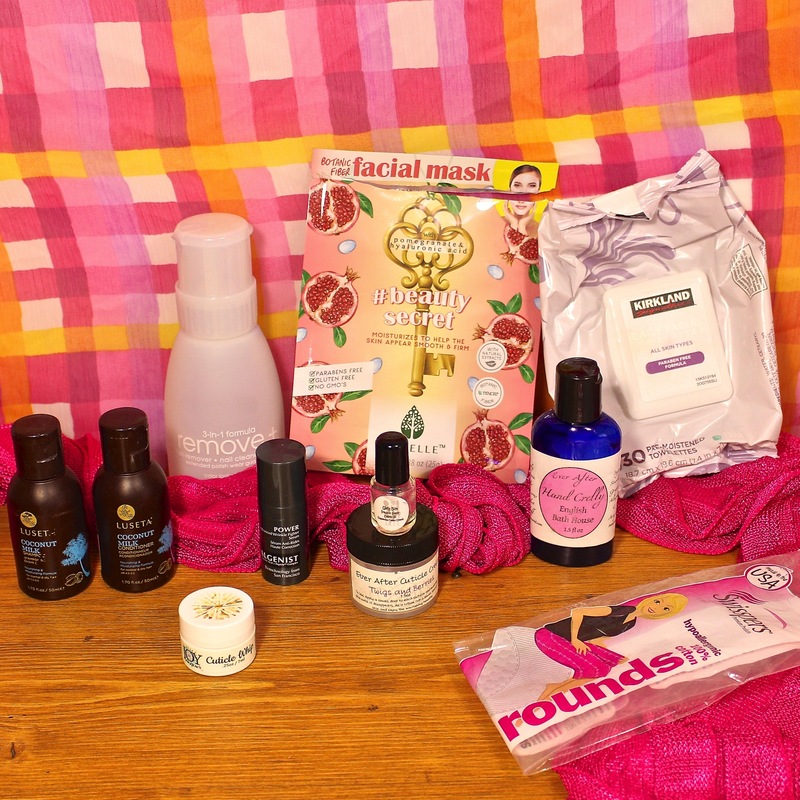 Have you tried any of the products from this post? What have you tried this month that you've enjoyed? I'd love to hear from you: I love trying out new and new-to-me products! I love these types of posts! I haven't emptied a product in awhile but I'm really trying to wear a face mask every week! 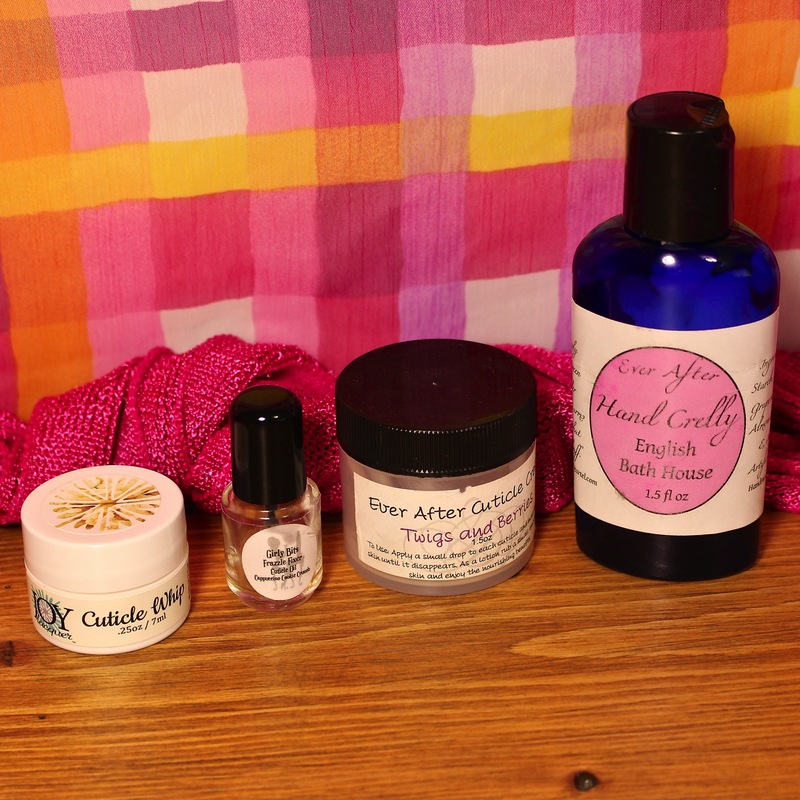 I have so many cuticle products, sitting waiting to be used. Actually, a lot from the same companies. I do love those biobelle masks. That shampoo and conditioner intrigue me! I'm a sucker for coconut milk hair products! Love empties posts. Those are the same cotton pads I use and they are definitely awesome for nail polish removal. I have to try out that cuticle crelly! I love cuticle whip! And Zoya Remove is all I use. Yes, awesome for empties. I love these kinds of posts. I've been looking for something new to try on my cuticles! I'll have to give the cuticle whip a try. I've read great reviews of the Ever awfter crelly and can't wait to try it. empties are always so satisfying.